Moombahton never dies. And this pack showcases exactly how the current sound is still as massive as ever! 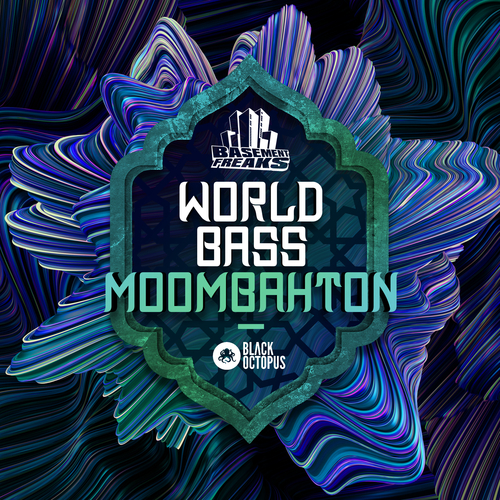 World Bass Moombahton by Basement Freaks and Black Octopus brings you the fire you need in that next Moombahton hit! Inside is speaker destroying Drums, massively melodic Music Loops, neck breaking one shots for your favorite sampler, and genre breaking percussion loops. This isn’t your normal Moombahton pack! It takes what you need for Moombahton production and gives you world flavors with Talking Drums (hand played by Basement Freaks himself), Arabic infused combo percussion and twisted latin Trap style hats and claps. It will quickly become your go-to arsenal for anything Moombahton! We promise you that! Inspired by artists like Dave Nada, DJ Sabo, DJ Snake, Dillon Francis, this pack will set you apart from the rest. Top quality, chart topping, tribal influenced Moombahton at your finger tips.